Our son Zander is a charming young man, complete with a bright smile that lights up a room. Now a sophomore at Miriam Academy, he is an eager learner and loves to share his knowledge with all around him. He is a true little professor, often a classic trait of his Aspergers. 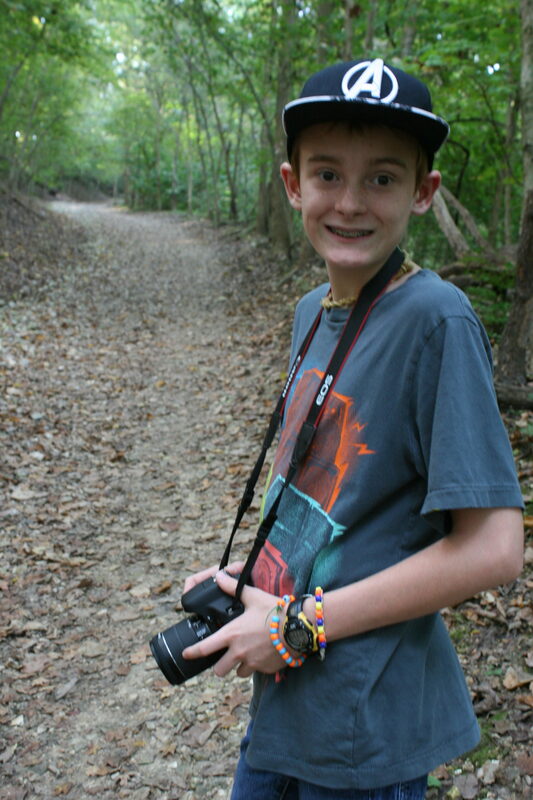 Since Zander was eight years old, he has dealt with the challenges of a high IQ, coupled with executive function disorder that lends itself to the inability to organize things or thoughts. Zander had always attended public school, but as he got older he had a harder time fitting in with his peers despite desperately wanting to be accepted. By middle school he had little social life and spent lunch in the library playing video games. His difficulty working in groups frustrated those assigned to work with him. His frustration or disappointment was not age-appropriate, further setting him apart from his peers. After Zander’s IEP (individualized education plan) meeting for public high school, we left feeling extremely worried about his ability to adapt. The next day I bumped into an acquaintance who happened to be a mother with a student at Miriam School. She listened to our worries and mentioned that Miriam was beginning its own high school. We attended the first meeting about the Academy and left feeling very hopeful. When Zander visited Miriam Academy for the first time, his reaction was without a doubt positive. We watched him being accepted by both peers and teachers. We knew this was the answer for Zander’s next four academic years. This inaugural year at Miriam has been positive for our whole family. No more fighting to complete homework or lengthy assignments. For the first time in his life, homework requires little to no parental guidance! His amazing teachers continue to engage and help him overcome his challenges. Zander has become an integral part of student life, which extends to his social life at school and beyond. A perfect example of how the students and staff came together is the creation of the school baseball team. In the past, Zander was cut from three baseball teams and we never expected him to be a part of an organized sport again. But the magic of Miriam made it possible for him to be on a team and he has loved every minute! All of Zander’s gifts and deficits have been embraced during his first year at Miriam. The staff sees the whole package he has to offer and are enthusiastic about his future. They see Zander’s potential and have set him on the path that makes attending a four-year college an option. As parents, our outlook changed from just getting Zander by to a belief in a bright and successful future. We will forever be thankful that a place like Miriam Academy exists. This entry was posted in Miriam Academy, My Miriam Story on October 4, 2017 by Foundation.